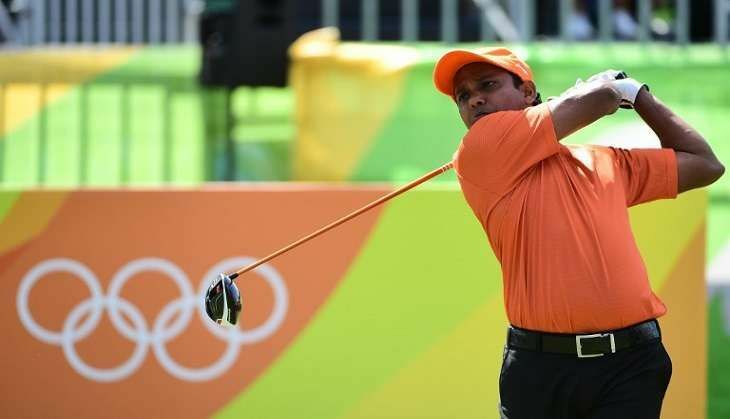 SSP Chawrasia's level-par score of 71 after the first round of the men's individual golf event in Rio de Janeiro on Thursday, 11 August, was only good enough for tied-27th out of a 60-strong field. Golf has returned to the Olympics after a gap of 112 years. The other Indian, Anirban Lahiri, didn't fare well at all. He ended up shooting a 3-over 74 to finish the first round tied 50th. Neighbour's Bangladhesh's Siddikur Rahman shot 4-over 75. Marcus Fraser, with a 8-under 63, grabbed the lead. Second place was shared by Canadian Graham DeLaet and Henrik Stenson of Sweden. They both finished at 5-under 66. Lahiri dropped five bogeys against a couple of birdies, while Chawrasia's four birdies were erased by his four bogeys as the duo found it difficult to tame the Olympic golf course here. Lahiri did not have a good day in office as he started with a bogey and then stumbled on two more bogeys at the sixth and eighth holes to make the turn at three-over. On his resumption journey, Lahiri lost a couple of strokes at the 11th and 12th holes before he produced two birdies at the 15th and 18th holes to end the day on a positive note. Chawrasia too had a topsy-turvy day as he picked up two birdies at the second and fifth holes before dropping a shot at the seventh to lie one-under after the front nine. The Kolkata-born golfer had a disappointing back nine as he initially let the advantage slip with three bogeys at the 10th, 12th and 13th holes against a birdie at the 11th. But a birdie at the final 18th hole helped him end on an even-par.